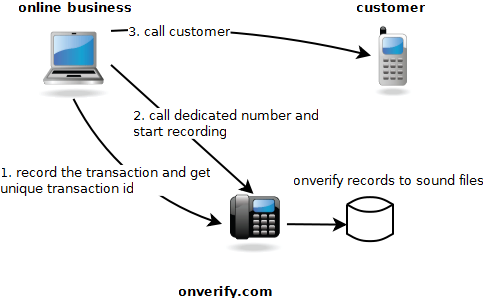 Standard phone verification: provide number to call, template to be used, and pin to be announced. 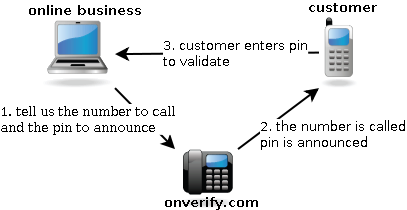 Your customer phoned, and a pin announced according to the templates. Provide the phone number and template to use. 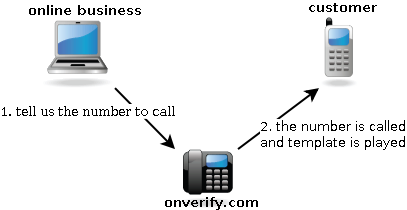 Generic phone notification call, your customer is phoned and template is played. 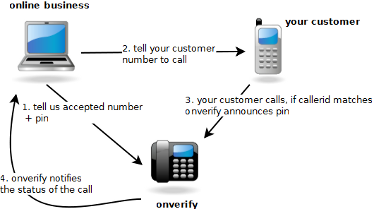 Provide the mobile number and the message to sent. Get back the delivery report. Needs number to send sms. 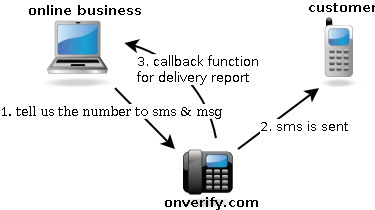 Customer needs to reply to sms with his mobile. 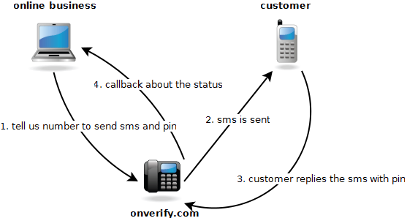 Needs number to call and html to be sent. html is converted on the fly. 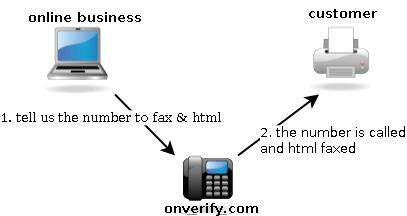 Fax number called, and converted html is sent.